IHS Markit has bought Ipreo from Blackstone and Goldman Sachs Merchant Banking Division for almost $1.9 billion. 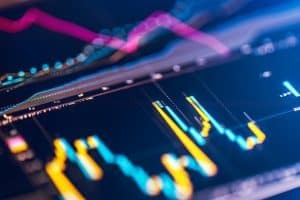 IHS Markit has completed its $1.85 billion acquisition of data and analytics rival Ipreo from Blackstone and Goldman Sachs Merchant Banking Division. The data giant is moving quickly to integrate Ipreo’s services across several business lines for combined data, intelligence and workflows as it looks to immediately add value for its clients, according to IHS Markit’s chief executive, Lance Uggla. “Having worked together on the integration planning since May, it is clear that our teams have a lot in common,” added Kevin Marcus, formerly president and COO of Ipreo and now head of the Ipreo businesses for IHS Markit. First announced in May, IHS Markit has acquired Ipreo from private equity funds managed by Blackstone and Goldman Sachs Merchant Banking Division, which took on Ipreo in 2014 for $975 million. Ipreo is currently based in New York and employs more than 1,700 people. Scott Ganeles, CEO of Ipreo, commented at the time of the deals announcement that it marks the coming together of two strong organisations for the benefit of both firms’ clients. At the same time of the Ipreo acquisition news, IHS Markit also confirmed that it has started selling off its post-trade derivatives processing business MarkitSERV, although an update on this process has not been announced. IHS Markit said that the decision to sell MarkitServ was made following a review of its financial services segment.